Danny Goldberg has been a hugely influential figure in the world of rock and roll. He did PR for Led Zeppelin; he managed the career of Nirvana; he ran Atlantic, Mercury, and Warner Brothers; he launched Stevie Nick?s solo career. 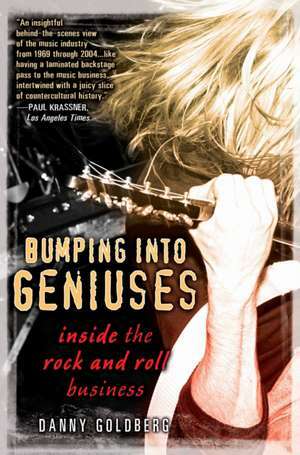 In Bumping into Geniuses, Goldberg grants an all-access pass to the world of rock and roll, with mesmerizing stories of forty years spent working with legends, including Patti Smith, Warren Zevon, Bruce Springsteen, Kiss, Kurt Cobain and Nirvana, Hole, Stevie Nicks, Bonnie Raitt, the Eagles, Susan Blond, Michael Des Barres, Steve Earle, Led Zeppelin, and more. But there?s more to this story than just Goldberg?s varied career. It?s also a look at the industry itself: a business that was complex and chaotic ? a mixture of art and commerce, idealism and selfishness ? and sometimes, rock?s most gifted and influential musicians were able to transcend it all. "A behemoth in the rock 'n' roll industry." 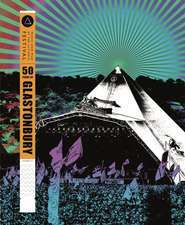 "Goldberg tells of his adventures in the music business with insight, humor and compassion." 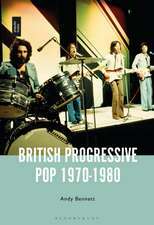 "An insightful behind-the-scenes view of the music industry from 1969 through 2004...Reading Bumping Into Geniuses is like having a laminated backstage pass to the music business, intertwined with a juicy slice of countercultural history." "There's no doubt [Goldberg] loves the music business - lives, eats and breathes it. His new book Bumping Into Geniuses is one of the best on the subject." 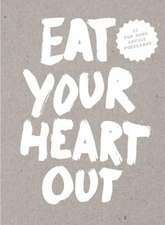 "Danny Goldberg chronicles the phases of his career - rock journalist, record- company president, manager to musicians ranging from Kurt Cobain to Warren Zevon - with the sort of candor few record-biz execs would attempt....Admirably blunt, but also spiked with tart humor." 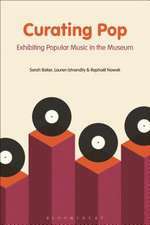 "Bumping Into Geniuses is such an important text for 2008...Goldberg's book presents a time when popular music really mattered, when the authentic fed the commercial and the commercial widened the scope of the authentic." "Goldberg summons up some fascinating anecdotes as he writes about these performers with much honesty and compassion, bringing it all back home." "A good taste of life in the music biz...It's not only the tales themselves that make Bumping Into Geniuses a great read; it's how Goldberg tells the stories. You really get the feeling that he loved every moment. He appears to have learned as much from his minor setbacks as he did from his major successes." 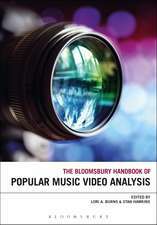 "For readers wanting a look behind the curtain, Goldberg offers valuable personal experience that only the music industry's elite are equipped to share." "For anyone interested in the rock and roll industry, or simply the mores and temperaments of the musicians themselves, Bumping into Geniuses is an incredible insider's tale." "Goldberg is an industry icon... 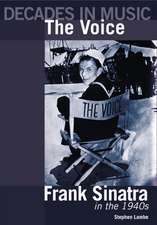 In Bumping Into Geniuses, [he] explains how the essence of music changed from being about the artistry to being about the business, but he also shares -- to the best of his recollections -- insider stories about Jimmy Page's drug haze, the irritation of the Eagles' management when the band received bad reviews and how Stevie Nicks came up with the name for her hit "Edge of Seventeen." ...Goldberg's affection for music, as a fan, is also always palpable." "Early in Bumping into Geniuses, a young Danny Goldberg disqualifies himself as a music journalist on the grounds that he loves rock n roll far too much to be anything like objective. That was probably true then and it's probably true now...but that doesn't mean that he can't write. 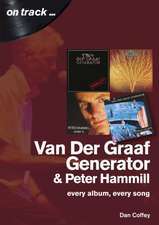 This book renews my faith in the music, confirms my suspicion of the business, and answers a lot questions that I've always meant to ask Danny myself." "Since I first met Danny Goldberg in 1970, he has had an honest relationship with the music business. He believes in the transcendent beauty and power of rock and roll and at the same time has a unique perspective on the business which has presented and preserved it. 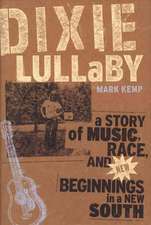 Danny writes about rock and roll with his characteristic mix of intelligence, reverence and humor." "In chronicling his remarkable rise from rock writer to record-company chief, working with acts ranging from Led Zeppelin to Nirvana, Danny Goldberg demonstrates that there's more to the music business than just business." “There aren’t any secrets,” Atlantic Records president Jerry Wexler growled at me, as if I were the stupidest person he had ever met. I was nineteen and it was the winter of 1969, more than thirty - five years before Wexler would be immortalized by Richard Schiff's portrayal of him in the movie Ray. I was writing a column for the weekly trade magazine Record World when Wexler had asked one of his executives, Danny Fields, to gather a group of young journalists who wrote about rock and roll. The real Wexler was far more imposing than the cinematic version. He was broad - shouldered, with a salt - and - pepper beard and sunken eyes that gave him the look of an Old Testament prophet. He had a thick Bronx accent, an intimidating intellect, and the ultimate rock and roll and R&B pedigrees. Some months earlier, at the storied Greenwich Village nightclub the Village Gate, I had seen a talented R&B singer named Judy Clay dedicate her hit, “Storybook Children,” to Wexler, who stood up and waved with an understated noblesse oblige. I had no idea what a record company president did, but I was stunned that such a soulful singer would publicly acknowledge a mere businessman. I soon discovered that Wexler had also worked with Otis Redding, Aretha Franklin, and Sam and Dave, and had been the person at Atlantic who actually signed Led Zeppelin. Over the next several decades I would come to understand what he meant. Although I never came close to equaling Wexler’s historical contribution to the music business, I was lucky enough to find myself in many situations that would make rock history. I had a press pass to the Woodstock Festival. 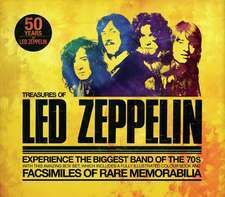 I worked for Led Zeppelin from 1973 to 1976, first as their publicist and later as vice president of their record company. I managed Nirvana when Nevermind came out and Bonnie Raitt when she won four Grammys. I did PR for Kiss and Electric Light Orchestra. I worked closely with Bruce Springsteen on the No Nukes movie. At the peak of Fleetwood Mac’s popularity I helped launch Stevie Nicks’s solo career. And twenty - four years after meeting Wexler I was given his old job as president of Atlantic Records. What few secrets there were could not be of any help to anyone else. But there were stories. I can’t be objective about the music business. I know it hurt a lot of people; artists were often lied to, royalties weren’t always paid, bad people sometimes got promoted while good ones were fired. Drugs, misogyny, and death stalked rock and roll. A lot of shlock was produced. A lot of pretense masked shallow, materialistic quests for fame and money. It’s not like I don’t know these things and it’s not that I mind writing about them. It’s just that the part of the music business I know best, the rock and roll business, also produced and popularized a lot of music that I love. And it gave me and a lot of my friends a place in the world. One nonsecret of the rock business is the intertwined nature of art and money. No one became a rock star by accident or against their will. 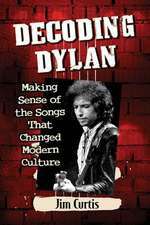 Bob Dylan’s memoir, Chronicles, begins not with a reference to Woody Guthrie or Allen Ginsberg, but with a meeting Dylan had as a young man with music publisher Lou Levy. Levy showed him the studio on the west side of Manhattan where Bill Haley and His Comets had recorded “Rock Around the Clock,” which is widely considered the song that made rock and roll music a part of mainstream American culture. Dylan did inject a folk music aesthetic into the commercial rock culture that existed. 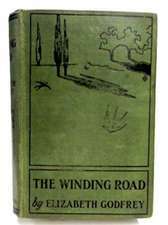 Steve Earle, who grew up in Texas in the 1960s, saw folk music as the vehicle that “brought art into rock and roll.” The great beatnik poet Allen Ginsberg saw Dylan’s song “A Hard Rain’s A - Gonna Fall” as “the passing of the torch of Bohemian illumination and self - empowerment.” The ideals and aesthetics that informed folk music of the early and mid - 1960s would continue to be present in varying degrees in the minds of many successful rock artists for decades to come. But one of the main points of Dylan going electric was not merely that he was adapting a more complex musical backdrop for his songs but that he was consciously entering a world and a business defined, at the time, by the Beatles. One of the salient points about Dylan’s rock single “Like a Rolling Stone” was that it went to number one on the pop charts. If it hadn’t been a hit, it wouldn’t have mattered anywhere near as much. Members of Jefferson Airplane, the Grateful Dead, the Lovin’ Spoonful, and the Byrds all started as folkies. Far from selling out, they were buying into a rock and roll culture and business that, from the very beginning, had been as much or more about money and success as about the nuances of the art. The trade - off was that rock and roll, corrupted as it had to be to win in the marketplace, was a vehicle that could impact millions more people and, yes, make artists lots of money The contradictions between art and commerce were not something that took folk artists by surprise, but were implicit in their decision to enter the world of rock and roll in the first place. As the rock and roll business developed, most rock stars amassed unprecedented power in relation to the corporations that profited from their work. In addition to exploiting rebellious creative talent, the business itself was repeatedly transformed by that talent. I was one of millions of rock fans who went to high school in the 1960s and one of a thousand or so who figured out a way into the business of rock and roll in the years that followed. I had all of the contradictions of rock and roll. Like most of my colleagues, I soon got caught up in the sometimes grim reality of what did and what did not make money. And like most of them I never stopped being a fan. In 2007, at a memorial service for Ahmet Ertegun, the founder of Atlantic Records and Wexler’s former partner and my former boss, David Geffen repeated one of Ahmet’s aphorisms about the rock business. The way to get rich was to keep walking around until you bumped into a genius, and when you did — hold on and don’t let go. In the early nineties, when I finally got an executive job at Atlantic, the story had been repeated so many times that it had become an axiom. Of course, no genius was likely to let you hold on very long if you didn’t have anything to offer them. One had to know something valuable about aspects of the way the business worked. Some successful rock businessmen started as record producers. Some began as tour managers or concert promoters. Many offered financial expertise. I began in the subculture of rock criticism and publicity but, over the years, developed a reasonable number of clues about radio promotion, the workings of record companies, and the dynamics of touring as well. Like anyone in business I spent a fair amount of time arguing about and keeping track of money, but I was always of the school that was a little more interested in making the pie bigger than in calculating the distribution of the crumbs. I was in tenth and eleventh grade in 1965 when the rock and roll business was in the middle of a dramatic expansion and reinvention that began with the launch of the Beatles in 1964. 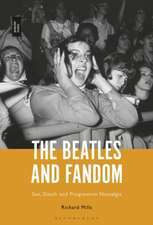 Although the Beatles had initially come across like a turbocharged version of the pop pinup idols that had preceded them, they soon spawned an intensification of focus on rock and roll by both artists and fans. In March 1965 Dylan released the first of his albums to include electric guitars, Bringing It All Back Home, a coherent and brilliant body of original songs such as “Mr. Tambourine Man” and “Gates of Eden.” It made a dramatic contrast to the disposable pop/rock albums that had one or two hits and lots of fi ller. 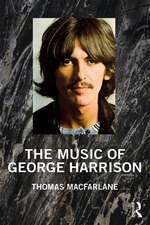 (Even the Beatles’ early albums had contained a number of “cover” versions of old songs to pad out the Beatles’ original material.) In July 1965, the Rolling Stones released Out of Our Heads, much of it edgy and rebellious for the time (this was the album that had “Satisfaction,” and the first ironic commentary on the record business itself, “The Under Assistant West Coast Promotion Man”). Responding to the challenge in December 1965, the Beatles released Rubber Soul, which was widely considered their first serious album. These albums and others created and defined a new business. Previously, the primary rock and roll product was the single, which sold for around a dollar. 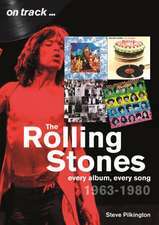 After 1965, the dominant creative and business product of rock and roll was the album, which sold for five to ten times as much. To the new generation of rock fans like me, these albums were worth every penny. Every photo, every word of the liner notes, and every single song was another window into the minds of artists who were perceived by their fans as the coolest and most interesting people in the world. Just to hear the Boss utter the word demographic was a shock to my system, but then again why wouldn’t he want to appeal to as many people as possible? The River album was released several months later, and, in addition to its many poetic gems and macho celebrations that protected Springsteen’s identity, the album included the single “Hungry Heart,” which featured a sped - up vocal, a romantic lyric, and retro harmonies by the sixties pop duo the Turtles, with the result that Springsteen did, as planned, finally have his first Top 40 hit. Of course, the fantasy of rock and roll liberation was often dashed by the reality of the business. More than one rock star I knew found the classic parody of a rock documentary This Is Spinal Tap depressing because of its painful similarities to real life. Drug and alcohol abuse were far too common. The tragic arc of Elvis Presley’s career was a metaphor for the dark side of rock and roll: materialistic, druggy, and predictable. Kurt Cobain, the greatest rock artist I would ever work with, shot himself to death. He was only one of dozens of brilliant rockers who died decades before their time. 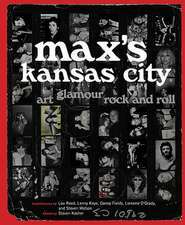 The idea of this book is to give some impressionistic views, through my eyes and through the examples of a handful of artists, of the rock and roll business from 1969 through 2004. It is by no means an attempt at a comprehensive overview. For one thing, when I made my first tentative steps onto the stage of the rock business in 1968 I had been too young to really experience the seminal rock and roll in the fifties of Elvis Presley, Chuck Berry, et al. I had been a mere fan during the early - sixties British invasion of the Beatles and Rolling Stones and during the initial years of psychedelic rock. There were many vital aspects of the business (engineering the sound of albums and selling them at record stores are two that come to mind) that I was to know little or nothing about. Although I tried to live by and impart commonsense principles of business such as the difference between hype and income, between the gross and the net, and about the need to spend less than one makes, my focus was primarily on working with artists to protect their art, market it, and get them paid as much as possible. I am neither an accountant nor a lawyer and have little of interest to share about the way artists spent their money or were screwed out of it after they made it. Moreover, my perspective is very American. Although I worked closely with several British artists and represented several who toured and triumphed all over the world, the bulk of my experience was in the United States. Large gaps in my memories are interspersed with vivid scenes that exist in my memory as if on videotape. I have written those scenes with quotations from people as I recall them but the truth is that other than a few interviews I conducted in writing this book, there were neither tapes nor notes. The conversations recounted merely represent my personal recollection of them. No one artist or group of artists can contain the sprawling and complex totality of rock and roll, but I believe that the artists I write about here, Led Zeppelin, Kiss, Stevie Nicks, Bonnie Raitt, Sonic Youth, Nirvana, Hole, Warren Zevon, and Steve Earle, among others, represent a broad and powerful portion of the psychic real estate of the rock and roll kingdom. I am not objective about any of them. I love them all.